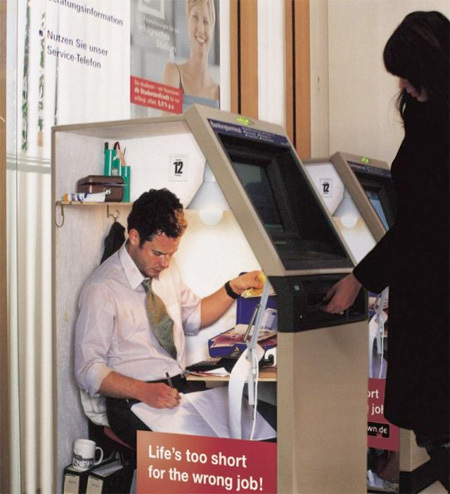 Series of creative ads reminds people that life is too short for the wrong job. 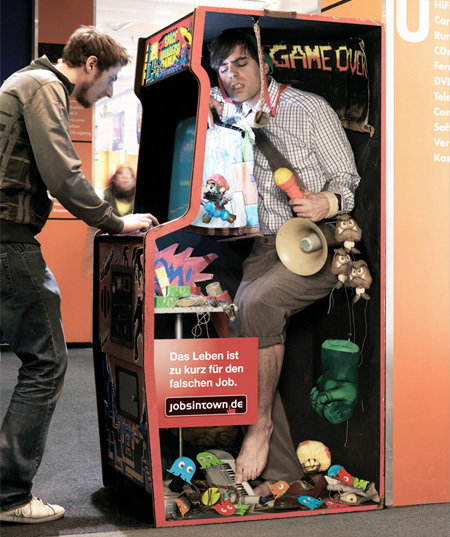 Memorable ads were created by Scholz & Friends advertising agency for Jobsintown.de, one of the largest job search websites in Germany. so cool! i’d love to see this some time! 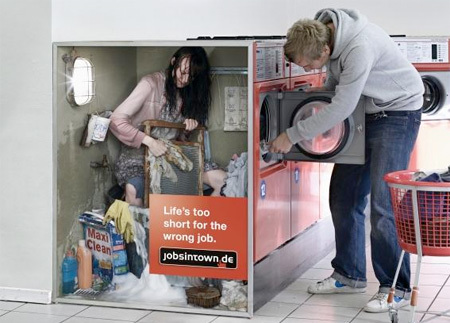 Yeah , cool concept, but we have to remember that some1 has to do the “job”. hahahaha this is so so awesome!!!! thanks for putting it up~! 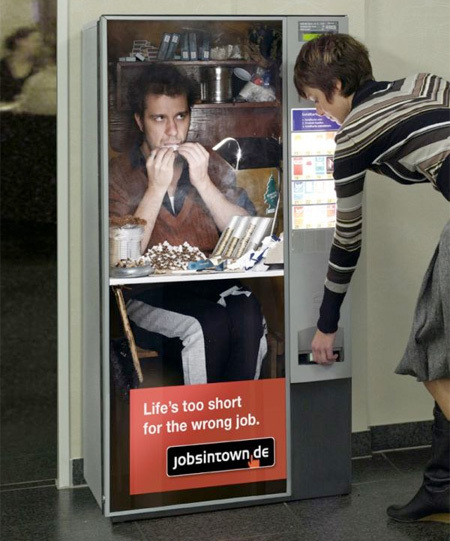 is so surreal and so real at the same time … shows how people feel when they work without love for what they do … great! 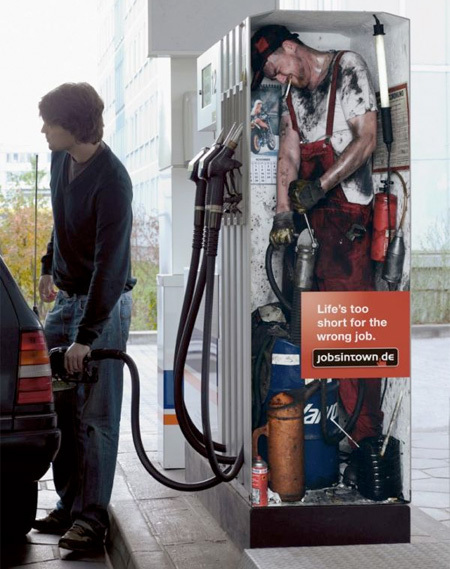 Funny how the Fuel Dispenser guy as a cigarette in his mouth… Boom! It’s the machines! 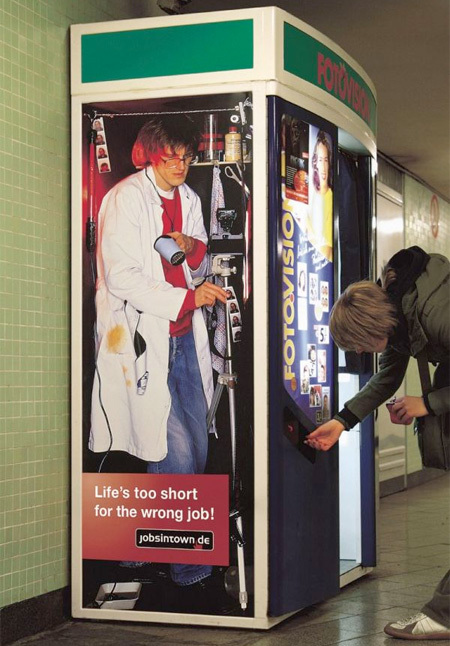 They’re taking over our jobs that we so much hate to do… but hey… it’s a job right? this has been out for a while now, but still awesome! Very clever. Fantastic, funny, great, yeah! this is awesome! so cool! you can see their hard-work for the instant things you buy or use! WOW!!! thats all i have to say!! Tis is really amazing. And useful! Really. 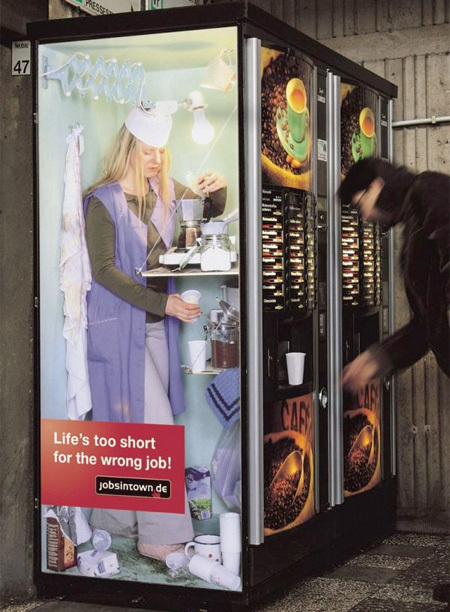 This should be in every town in the whole world. 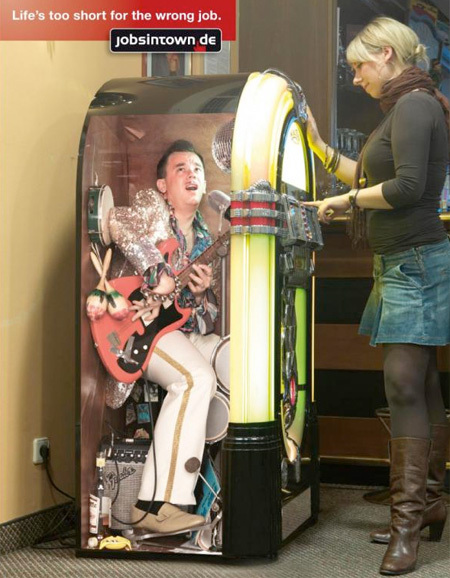 They should put one on a slot machine in vegas! Guy inside would be drowning in tokens and cash! 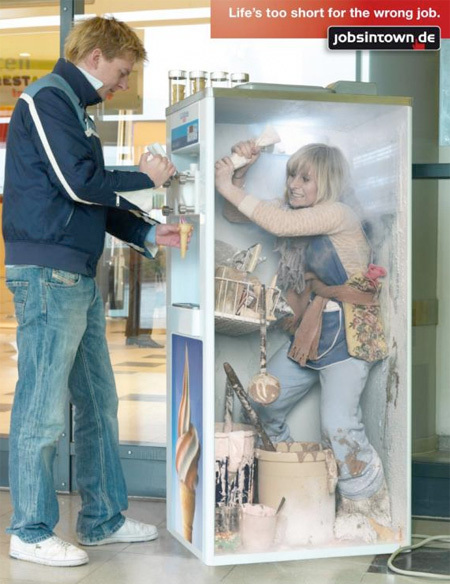 stereotyping at it’s finest – another way that advertising re-enforces mainstream cultural conditioning – wake up you dozy folks!